Map maker : HUMPHREY, W.. Size : 9.8 x 6.7 inches. / 25.0 x 17.0 cm. 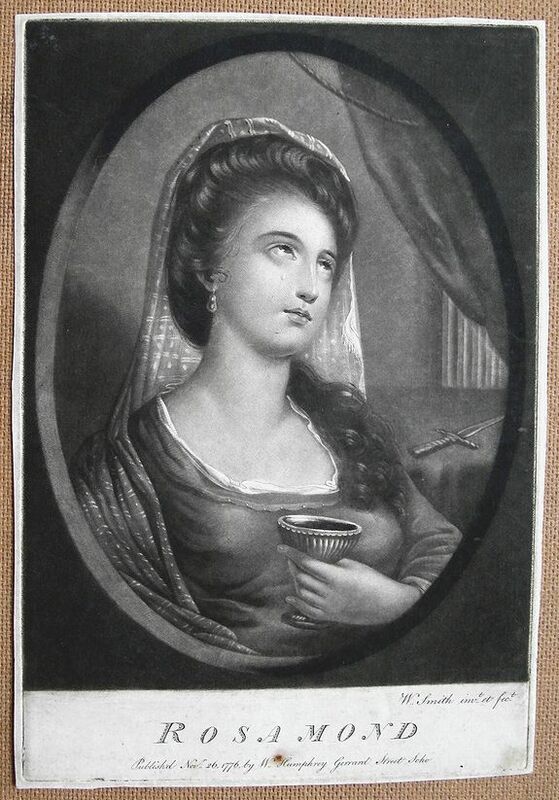 Description :Rare print of crying Rosamond, holding a glass and with a dagger in the background. Engraved by W. Smith, published Nov. 26, 1776 by W. Humprey, Gerrard Street Soho, London. We were unable to find any reference on this particular print, all works by W. Humphrey are scarce! Condition : Excellent dark image. Some soiling and one brown spot to title. Cut close to platemark - no margins.